The sleek 595 RS-PRO is a EURO R117-certified street tire, engineered to satisfy your desire and style for aggressive performance. 1. Continuous central rib delivers straight line stability at high speed. 2. Dual circumferential grooves and V-shaped tread grooves channel water away effectively. 3. Advance carcass structure design ensures optimal roughness and contact patch. 4. 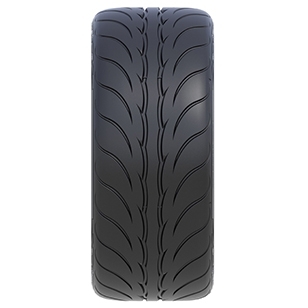 Enhanced tire block rigidity and maximized patch areas grant outstanding grips and steering accuracy.